he College Library has excellent collection of “Volumes” & “National & International Journals ” on its shelves. It subscribes Online e-Journals through AICTE Consortium J-Gate, IEEE, ASCE (Civil), Springer (ME), Wiley- Blackwell (CS ), McGraw Hill (General ), ELSEVIER, EBSCO, ASTM DIGITAL, J-Gate(MBA) & DEL NET. 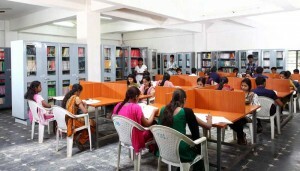 Library is equipped with 12 nos of Pentium –IV Computers and one dedicated Server ; all networked with Netlib software Internet Facility is 24 X 7 hrs as the type of connectivity is lease line, Firewall Protected and permitted only to Browse e-journals and websites Like DELNET, BITES etc. Technical journals – Online e-Journals AICTE Consortium J-Gate, IEEE, ASCE (Civil), Springer (ME), Wiley- Blackwell (CS ), McGraw Hill (General ), ELSEVIER, EBSCO, ASTM DIGITAL, J-Gate(MBA) & DEL NET. The College library has a Special SC/ST book bank facility exclusive for the use of SC/ST students. They can borrow 02 books & they can retain the books till the end of the semester. The College library has a Canon Xerox Photocopying Machine to cater the need of the students & staff at Nominal rates. The college library has become a member of British library Bangalore. We can borrow books, Magazines &Videotapes from this library for the benefit of staff & students, & also access to online search facilities. The college has become the member of CMTI library Bangalore, our college library can utilize certain facilities from CMTI library. o The college has subscribed for Online e-Journals AICTE Consortium J-Gate, IEEE, ASCE (Civil), Springer (ME), Wiley- Blackwell (CS ), McGraw Hill (General ), ELSEVIER, EBSCO, ASTM DIGITAL, J-Gate(MBA) . The Digital Library comprises of PIV Computers with the latest softwares and multimedia facilities for Digital Library. The college has subscribed for Online e-Journals AICTE Consortium J-Gate, IEEE, ASCE (Civil), Springer (ME), Wiley- Blackwell (CS ), McGraw Hill (General ), ELSEVIER, EBSCO, ASTM DIGITAL, J-Gate(MBA) & DEL NET. The library is arranging for live transmission of ISRO-Supported VTU-EDUSAT Lecture programmes for the benefit of students and staff through satellite communication. Separate dish antenna has been installed to view the various online educational programmes such as Gyandarshan , EKlavya KIsan, Gyanvani, CEC-UGC etc. The average attendance of readers is estimated as 300 per day. The number of books consulted by the staff and students at the premises is 250 per day & number of books issued for home is about 250 per day.